Behold the amazing half-waffle, half-not-waffle thing! There are two sides to every story, and now, there are finally two sides to a waffle. For all of eternity, waffles were created by pouring batter into a waffle iron. The lid would close and out would come a perfectly formed waffle with pockets on either side. The mad scientists at Lékué see things differently. 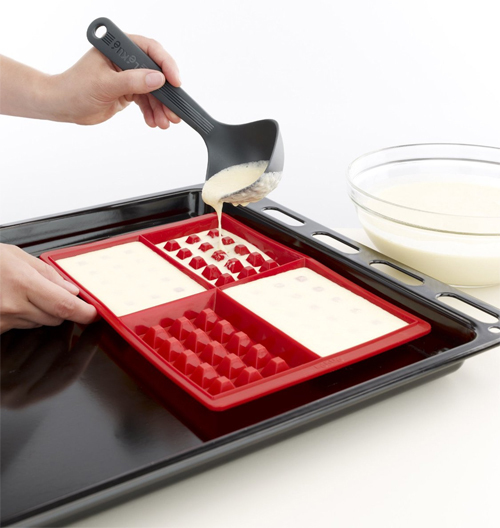 The Lekue Silicone Waffle Baker Mold is a silicone mold that is used to bake waffles in the oven. 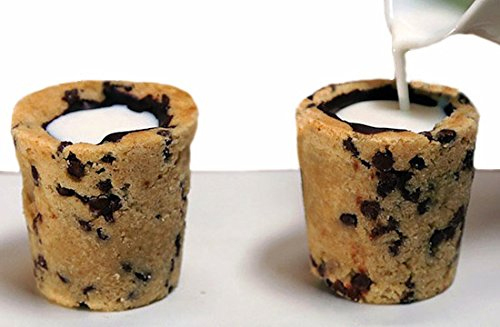 Pour batter in and bake. The result is like something out of a half baked monster movie. Except there’s nothing half-baked about this waffle maker baker. Half waffles maybe, but not half-baked. Even Frankenstein’s monster was misunderstood. Perhaps in time, people will come to accept these weird waffles that only have pockets on one side. Until that far off sci-fi future date, we will have to learn how to live in this brave, new world of one-sided waffles. Or just flip the waffles over since pockets are only useful on one side anyway. Somebody finally figured it out: ice is cold. While this is a good thing for making tasty treats on a hot summer day, actually holding the ice treat is a pain. A cold, numbing pain. Now, our fingers can be saved from the torture that is such pleasure for our mouths. 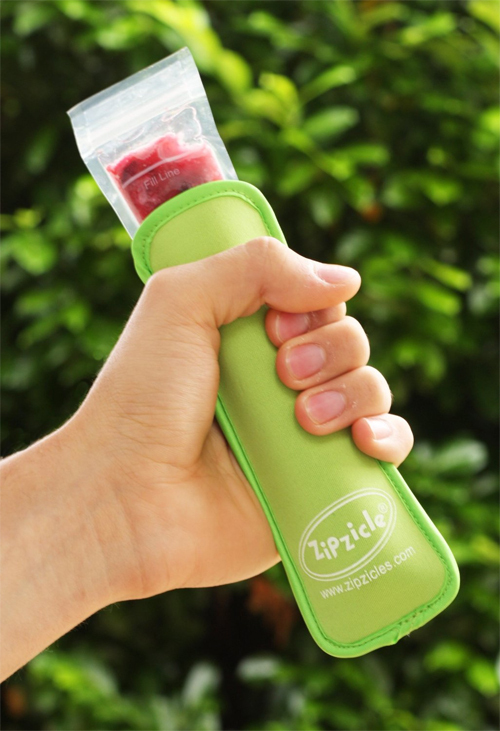 Zipzicle, makers of convenient, but necessarily revolutionary zip baggies to make freezer pops, have created the Zipzicle Neoprene Ice Pop Holder . 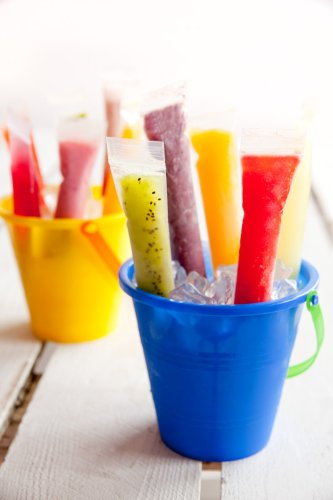 Specially designed to fit their zip top bags, the ice pop holder makes it easy to make and eat delicious ice pop. 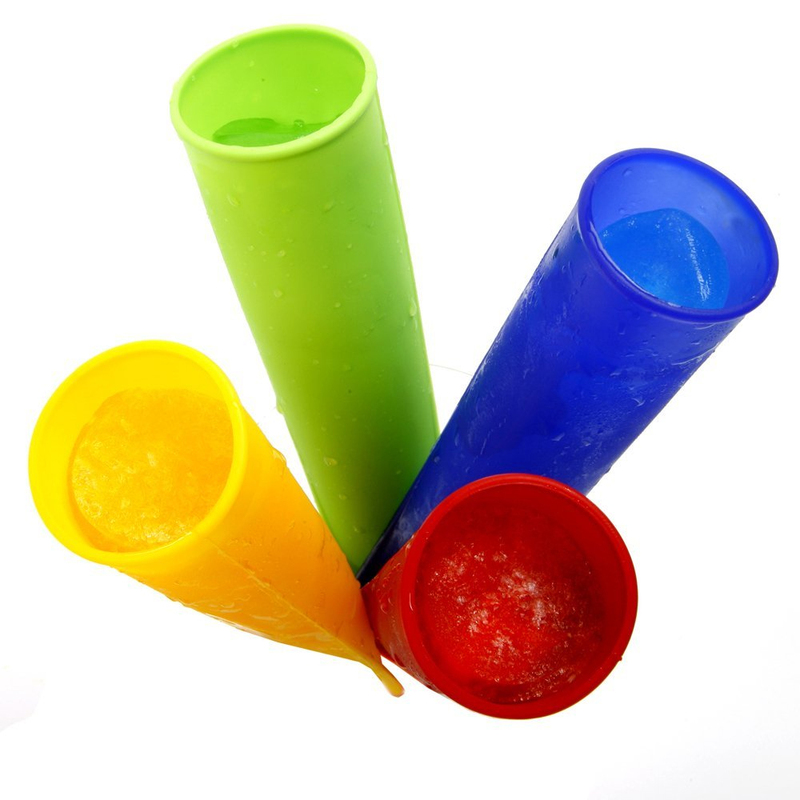 This round of ice pops clearly goes to Zipzicles. Rice goes with everything. The plain white grain (okay, okay; brown too) can be used in dishes originating from anywhere across the globe. But that doesn’t mean it has to stick to being mounded together into a hemisphere. In fact, for those seeking to mold rice into cubes, there exists at least two choices. Above, the Rice Cube is a fun geometrical puzzle that comes together to make rice cubes. Below, the Kotobuki Mini Cube Rice Mold gives rice fans a similar option. 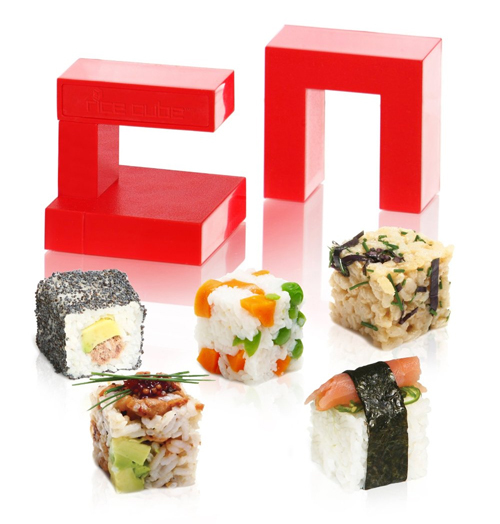 Either way, use the rice molds to transform rice into whimsical cubes that can be used for sushi or whatever else one can dream up. Or stack up as the case may be. Here comes the heat, what’s going to beat it? 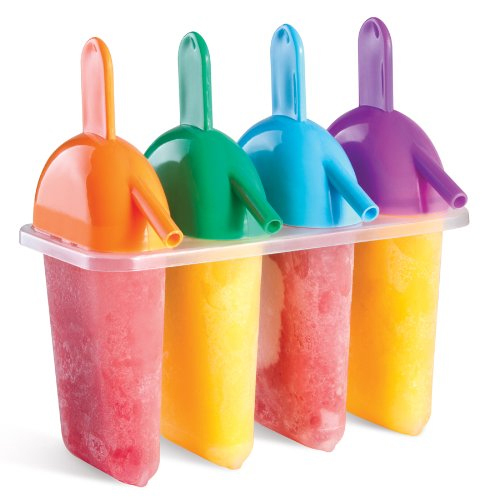 Norpro Silicone Ice Pop Makers or Zipzicles, The ONLY Zip-Top Ice-Pop Mold? Above, the Norpro 431 4-Piece Silicone Ice Pop Maker Set costs about 10 bucks and comes in a set of four. 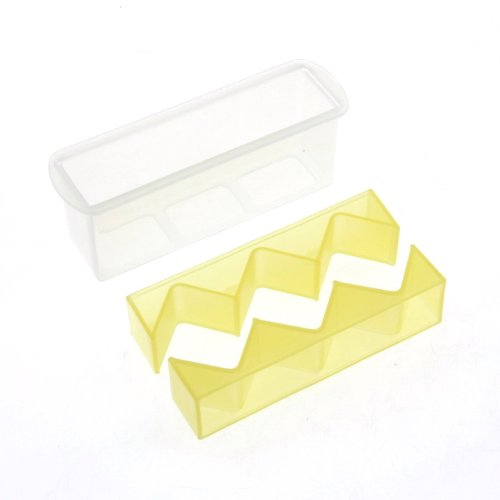 Clearly reusable, the silicone molds come with little caps to seal in juice, yogurt or whatever (“juices, purees, yogurt, soda, ice cream, pudding, applesauce, gelatin, fruit, berries, candies, chocolate, carmel, whipped cream and sprinkles”) as it freezes. Fill, seal, freeze and enjoy as they say.